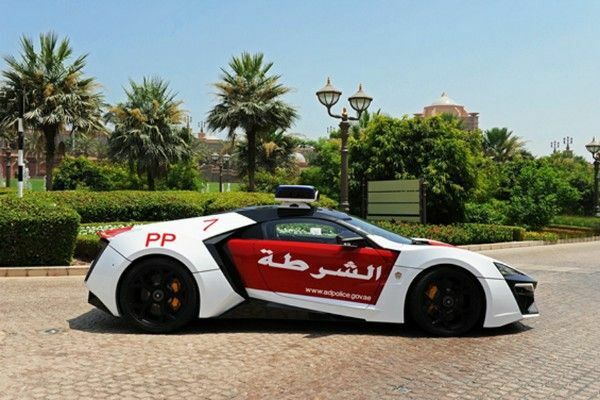 Abu Dhabi Police is noted for its use of sportscars for police personnel. The forces' ever-impressive blue and white (formerly red and white ) fleet includes the Nissan GT-R,Chevrolet Camaro, Lamborghini Aventador,Ferraris, BMWs and the flagship of the fleet, the $3.4 million Lykan Hypersport . 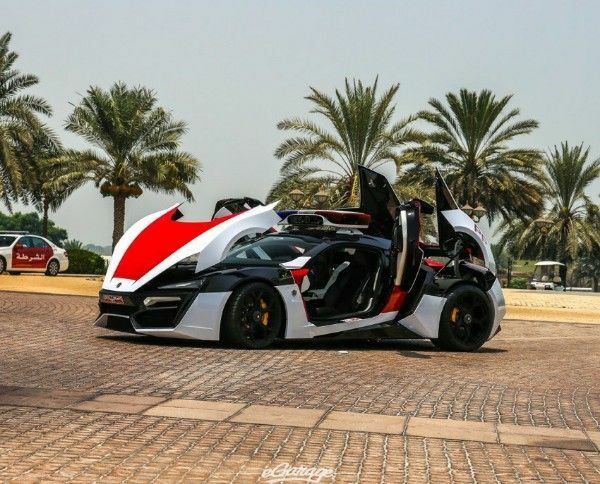 With only 7 Lykan Hypersport made by the Dubai-based W Motors,the Hypercar is the world's most expensive and rarest police car ever . The base price is enough to equip Nigerian police force with over 240 fleets of cars. It features a 3.8-liter flat-six Porsche engine that will take it to a 240 mph top speed and a zero to 60mph in 2.8-second,and a headlights that contains titanium LED blades with 420 diamonds (15cts). 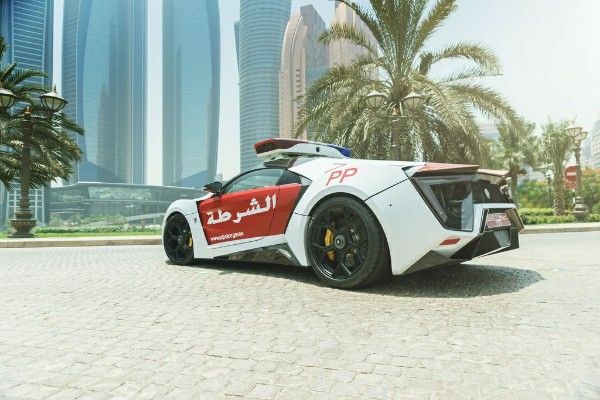 Abu Dhabi may have the rarest police car in its fleet, its sister city police force,the Dubai police, boasts of the Fastest and Most Expensive Police Cars In The World. 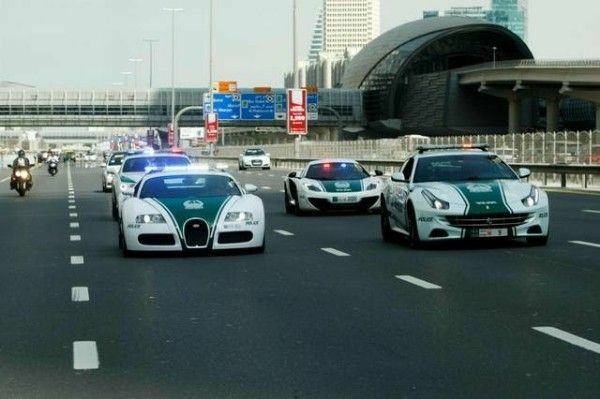 The amazing Dubai green and white colored police cars ,which are mostly used as tourist attractions, includes the $1.7m Bugatti Veyron, Rolls-Royce Wraith, Lamborghini Aventador, Ferrari FF, McLaren MP-12C, Mercedes Benz SLS plus,BMW i8 ,$1.4m Aston Martin One-77, Bentley Continental and the Most Advanced Police Car Ever, the Ghiath SUV. it looks like a transformer lol?